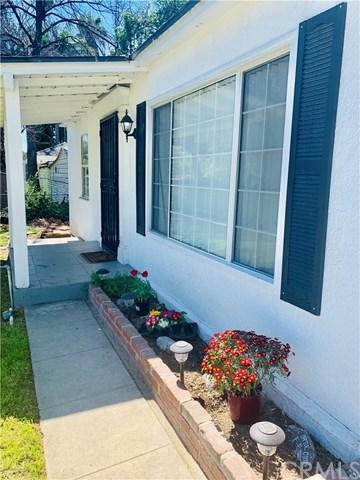 Charming Cape Cod style home located in San Bernardino's tranquil tree lined neighborhood of Muscupiabe! This home boasts a recently remodeled kitchen featuring gray quartz counters atop white cabinetry, generous stainless steel appointments including hood vent, sink, stove and refrigerator, as well as new flooring. The bathroom has a large mosaic/tiled shower, newer vanity with marble counter-top, and newer toilet. 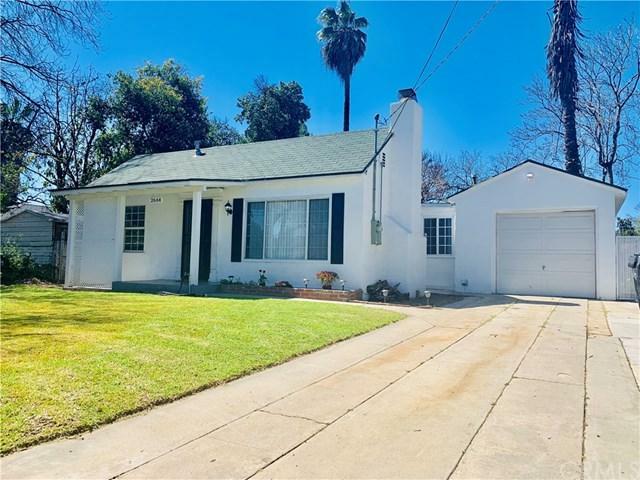 Elements such as original hardwood floors in the living room and hall, original plaster fi Charming Cape Cod style home located in San Bernardino's tranquil tree lined neighborhood of Muscupiabe! 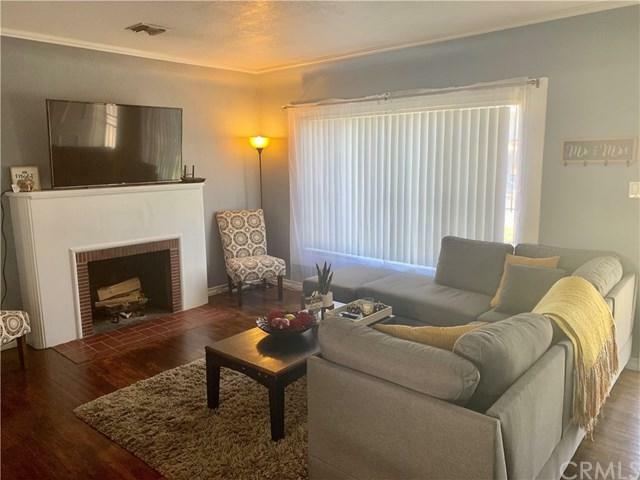 This home boasts a recently remodeled kitchen featuring gray quartz counters atop white cabinetry, generous stainless steel appointments including hood vent, sink, stove and refrigerator, as well as new flooring. The bathroom has a large mosaic/tiled shower, newer vanity with marble counter-top, and newer toilet. 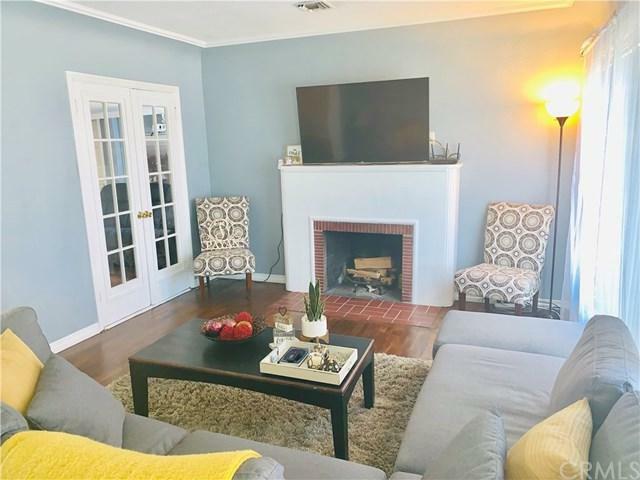 Elements such as original hardwood floors in the living room and hall, original plaster fire place surround with wooden mantel, crown molding, and French doors give a touch of classic elegance to the otherwise modern feel of this home. Central A/C and heat, double pane windows, and ceiling fans help keep this house cozy all year round. Large gated front yard with plenty of room for parking in addition to the attached garage with direct access to the home. Huge back yard features a large shed, lush lawn, mature orange tree, several large shade trees, and a very tall palm tree with festive string lights strung up in-between, all ready for a springtime housewarming party!